Our little hatchback chugged up the steep grade of the crumbling road in the foothills of Cupertino, CA. We rounded yet another hairpin turn, where we were saluted by some airborne creature the size of a turkey taking flight directly in front of our windshield. Good thing we were moving at a snail’s pace or we might have hit it. As we know, turkeys have long since lost their ability to take flight. This bird, we would learn, was il Pavone, a peacock, and the official mascot of the Picchetti Brothers Winery. It seems that the fraternal siblings who founded this establishment decided to bring two things with them when they emigrated from Italy to California: grapevines and the aforementioned, colorful feathered friends. The winery is one of California’s oldest and has a rich history. And it is in a rather unusual setting. 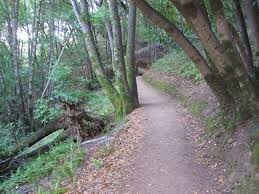 The property was acquired by the Monte Bello Open Space Preserve, part of a vast network of hiking trails and natural wilderness throughout the Bay Area. The winery is still privately run, but as part of the preserve, you can hike in the hills to your wine tasting. It was a blustery afternoon when we arrived and so we were thankful to arrived by motorized vehicle and to have the warmth of the tasting room in which to sample a glass or two of Picchetti’s refreshments. The place was bustling; not one table was empty. We mosied on up to the one bare spot we could find and met Andrew, a friendly and enthusiastic wine steward. He filled us in on the history of the place and provided a sampling tour of the winery’s offerings. They range from a Chardonnay and the White “Pavone” blend to a variety of reds, including a Pinot Noir, a Sangiovese, a Zinfandel and, of course, a Cabernet Sauvignon. All of the wines are either grown on the premise or sourced locally. The Sangiovese grapes, for instance, were picked in nearby Morgan Hill. It was a nice comparison to the Sangiovese we had sampled the week before from Vino Noceto, up in the foothills of the Sierra Madre in Amador County. Both worked equally well. For Bay Area wine enthusiasts, you can’t go wrong with Picchetti. 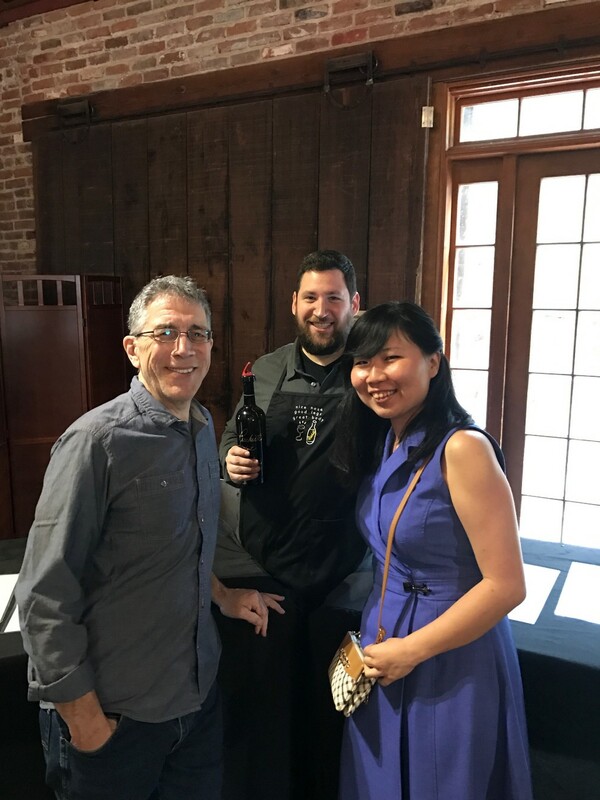 Especially for those of us in the South Bay, it’s just a short hop for a wine tasting, convenient if you’re not in the mood or don’t have the time for the trek to Sonoma or Napa. Just keep an eye out for il Pavone on the drive up. WineWednesday Ep. 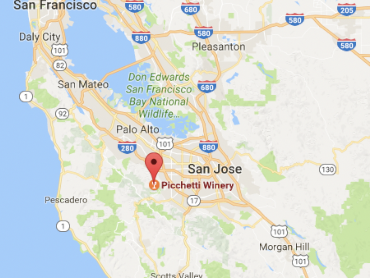 14: Picchetti Winery was originally published in WineWednesday on Medium, where people are continuing the conversation by highlighting and responding to this story.